Zeolite is an amazing natural mineral because of its extraordinary ability to absorb, hold, release, and exchange different chemicals, nutrients, toxins and ions according to need. 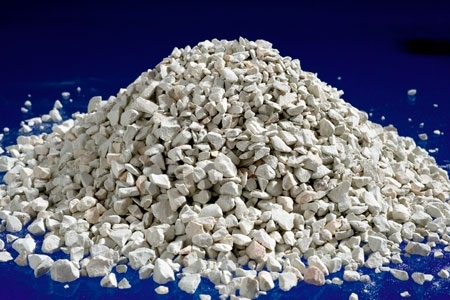 Zeolite was formed from the glass component of volcanic ash millions of years ago. Increases biological activity, reduces nutrient levels, cuts sludge volume and odours, reduces ammonia and BOD levels in ion exchange columns or bed effluent, can be back flushed and regenerated, with ammonia recovered for fertiliser, increases sewerage plant capacity and life cycle. Remediation of mines through absorption and retention of dangerous heavy metals and other metallurgical wastes. Higher yields through making fertilisers more effective by preventing leeching and holding valuable nutrients such as ammonium nitrate, potassium, magnesium and calcium as well as trace elements for slow release as needed. Also produces long term soil improvements. Retains nutrients longer to lower fertiliser costs; substantial yield improvements; less nutrient leeching; long term soil improvement. Diminishes ammonia toxicity and scouring; increases nitrogen levels in manures for higher fertiliser values; reduces odour levels in sheds and a safer, slow release off ammonia from urea; produces lower mortality rates in fowls and limits the moisture levels in organic wastes. Decreases ammonia levels in ponds and tanks; filtrates water for cleaner tanks. Produces significant turf root improvement; dense and deeper feeder root system; less fertilisers required; retention of key nutrients; increased soil potassium levels; permanent increase in cation-exchange capacity.